2018 – Newsletter 43 It’s that time of year…Fresh greens and more! You Are Here: Home / 2018 Newsletters / 2018 – Newsletter 43 It’s that time of year…Fresh greens and more! to doing. What did we do before Amazon? Amazon and all the other e-commerce retailers have their place in the “food chain”, but there are some things that you just have to look at to see the beauty, touch and hold in your hand, taste or smell the fragrance for yourself. I think plants and many garden accessories are some of those things. 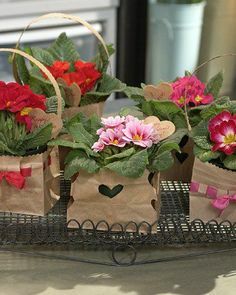 of plants, to what they would feel picking up a plant for the first time in a garden center or nursery. There should be joy! Not an easy task when the plant was pruned, covered with wood fiber, shoved in a box and travelled across the country! a catalog or off a web page. The only way to do that is to visit a local garden center or nursery. Saturday, November 24th is Small Business Saturday. In 2010, it was formed as a day for small businesses to rally their customers and community, encouraging them to “shop small”. Each year, on the Saturday after Thanksgiving, small businesses across the nation open their doors with the hope to draw in clientele that maybe haven’t been to their store before, as well as those that are their regular customers. We are very fortunate to have a long list of very loyal customers. When we say we have a “loyalty program”, that’s not just a marketing gimmick, that’s a group of engaged, dedicated customers who frequent our store. 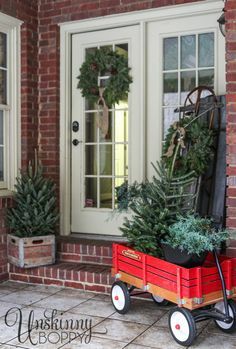 As the holidays come upon us, we are busy getting evergreens, porch pots, wreaths, Christmas trees and other holiday décor ready for you. We thank you for all your patronage throughout the year and encourage you to stop out and see us on Saturday, November 24, when the rest of the nation, along with us, celebrate being one of the “small guys”. We will have our Porch Pot Party that day, as well as refreshments and giveaways. It will be a fun day to Shop Small! The scent of pine is in the air! Our evergreen boughs have arrived. 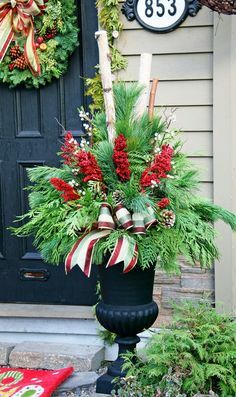 We have cedar, white pine and balsam boughs tied together into three pound, mixed bundles. 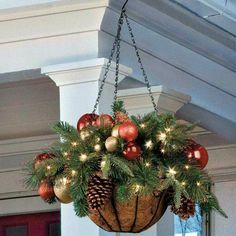 These can be used for making your own porch pots, door swags, wreaths, centerpieces, window swags, kissing balls, holiday baskets and much more. The opportunities are only limited by your imagination! 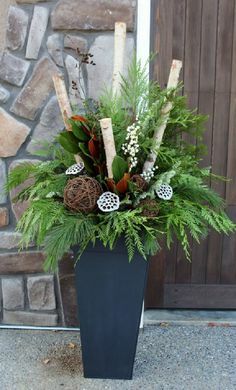 We also have spruce tops, red-twig dogwood and birch twigs to add the element of height to your porch pots. 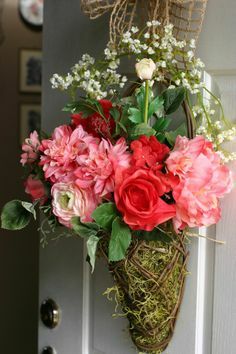 New to the porch pot-making craft? 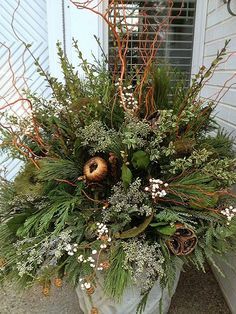 Need help with designing your holiday décor? No worries, our talented designers will give you tips and assistance, as much or as little as you need. 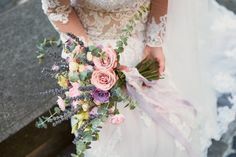 Colorful picks with whimsical themes, glittered floral elements, tasteful natural botanicals and dozens of berry sprays from which to choose, you are certain to find something that you will love! have openings November 24th and 25th and December 1st and 2nd . We hope to see you for one of our Porch Pot Parties! Wondering how to take care of fresh cut winter greens? 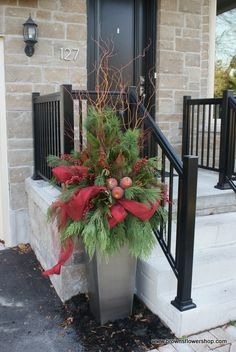 You have your porch pot tastefully designed to match the ambiance of your home. The gorgeous Caanan Fir Christmas Tree you picked out is in the tree stand and ready to be covered with your favorite ornaments. Balsam roping adorns the white picket fence in front of your home. 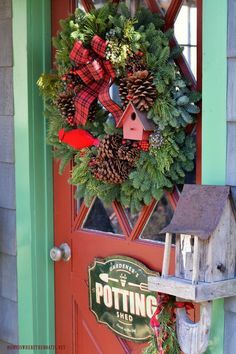 An evergreen wreath with a gigantic bow welcomes friends and family into your home for the holidays. 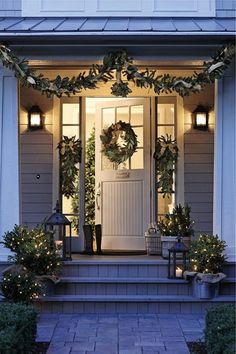 Your home has everything it needs to make the holidays merry and bright. 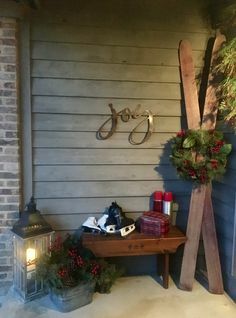 Now you just need to make sure that all the needles don’t fall off that beautiful wreath or the Christmas tree, creating a big mess, disappointment or worse- a fire hazard! Following a few easy steps will help to keep your greens fresh through the holidays. Evergreens deteriorate more rapidly in warm temperatures and sunlight, so to the best of your ability, keep them cool and out of the sunlight. Placing them away from direct sun and heat will add days to the life of cut evergreens. Keep the evergreens hydrated. 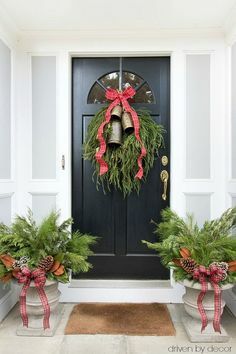 For cut greens that are used in your porch pots, wreaths and roping, mist these every 1-2 days to keep them healthy and green. Use an anti-desiccant spray like Bonide Wilt-Stop to seal the leaves and bark, helping them retain moisture and reduce flammability. Do not use on Cedar or Juniper. Always read and follow the directions on the label. When you leave here with your tree, we make a fresh cut for you. 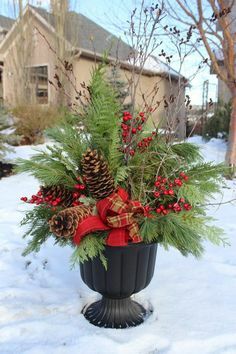 When you get home, put the tree in a bucket of warm water, if you are not putting it up right away. Once you put your tree up, keep the stand full of water. The trunk must be at least 2″ into the water, at all times. The addition of Tree Moist or Christmas tree preservative increases moisture retention. Following these easy steps will help you preserve your festive decorations, for all to enjoy, for the entire holiday season! When should you take a cookie to the doctor? Not into the traditional poinsettia for the holidays? Do you need a gift for a holiday party, secret Santa or maybe yourself? Christmas Cactus, or more appropriately, Holiday Cactus, are lovely plants with white, pink, purple or peach flowers. Caring for Holiday Cacti is relatively easy. They prefer bright light indoors, benefiting from full sunlight in the fall and winter. However, they cannot be in direct sunlight in the summer, as the leaves will become pale yellow. 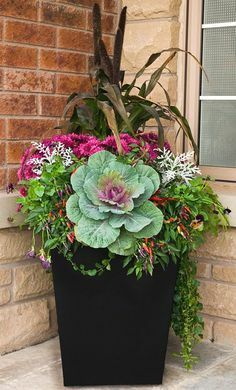 Water them when the top of the soil becomes dry. Do not let them dry excessively or the unopened buds will drop off. They also do not like to be water-logged, so make sure that they are in a loose, well-draining soil and do not sit in a saucer of water. Plants should be fertilized monthly during the spring and summer with a general purpose fertilizer. Stop giving them fertilizer in late summer, so that flower buds can develop. 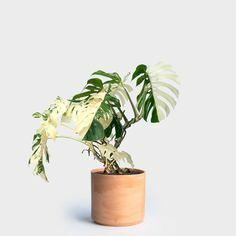 If possible, provide supplemental humidity with a room humidifier, placement near a kitchen or bath or by placing plants on pebbles in a tray of water. 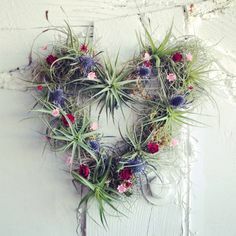 Holiday Cacti are a wonderful addition to any home during the holidays. 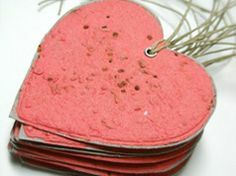 They make great gifts because they are easy to care for and can live for decades. If you need proof, come out and see one we have that’s over 100 years old! One of the truly rewarding parts of our jobs here at America’s Best Flowers is the interaction we have with you, our customers. 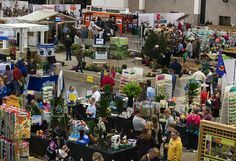 You look to us for plant and gardening information and we are happy to provide that to you every day. Each week I have the privilege of writing this newsletter and receiving feedback from you. Last week in our “November Calendar”, I wrote, “Make sure all hoses are disconnected from outdoor faucets and drained. Store hoses inside a garage or shed to prevent cracking.” The newsletter had just gone out and the phone rang here. It was Nancy, one of our Loyalty members and “Top 100”. Nancy and her family are here often and I love to converse with them when they are in the garden center. Nancy informed me that I had left a crucial detail out of those instructions. That detail was to make sure that the water for your outdoor faucets is then turned off inside your house. Once that’s done, drain any remaining water out by opening the faucet again, so any water left in the pipe drains out. She relayed a story to me about how she knew someone that had several thousand dollars in damage to their home when a water pipe burst because they hadn’t turned their water off inside their home. Of course, I thought this was really sound, wise advice. I assured Nancy that we would make sure we relayed this to you this week and thanked her for her suggestion. I’m grateful for all the comments we receive and always enjoy when the sharing of knowledge or experiences is a two-way street! 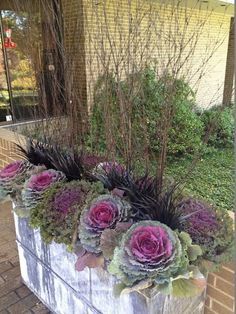 Why not spice up the table with a floral arrangement! Be the hostess with the mostest or surprise your hostess with one of these festive centerpieces. Give us a call today and have it delivered before Thanksgiving. *We reserve the right to make substitutions based on product availability. One year previous floral design experience is required; 4 years preferred. What do you get when you cross a turkey with an octopus? 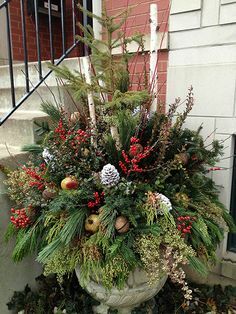 Create your festive holiday porch pot using fragrant mixed winter greenery. 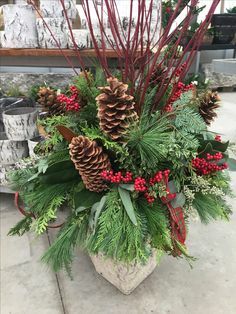 Add decorative touches such as pinecones, festive holiday picks, permanent botanical pieces, birch logs and other elements. We have a wide variety of options from which to choose. 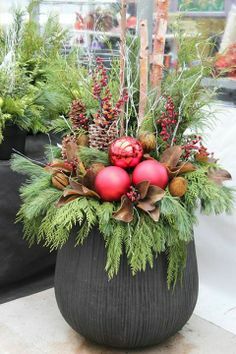 A time honored tradition that grows every year, this is a great way to start off the season with family and friends, as you create your very own decorative pot to adorn your front step, patio or anywhere you want to add that touch of holiday charm. The best part is you take home your creation and just leave the mess behind! We have three weekends from which to choose. Give us a call today to pre-register for this popular event. Bring the whole family to our Holiday Open House. Time to get festive and wear those jingle bells as you head on over here. Rest assured our greenhouse will be filled with holiday spirit along with all that is merry and bright. Enjoy the fresh scent of pine and take that comfy cozy feeling home with you. Decorate with fresh garland/roping, pine boughs, fresh Christmas trees and, of course, our locally grown Poinsettias! 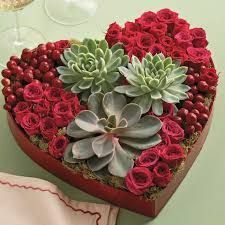 YES, we grew them in our greenhouses, just for you! Our friendly neighbors from State Farm will stop by and serve up free cookies and hot cocoa! Want to see what Nate and his team are up to? Just click on the cookies! Pure Christmas deliciousness! Melt-in-your-mouth Gingerbread Gooey Butter Cookies baked from scratch and spiced just right for the Christmas holiday. Time to head on over to Wicked Good Kitchen for the instructions. YUM! Thank you for featuring my Christmas cookie recipe for Gingerbread Gooey Butter Cookies as well as for providing a link to my blog for the directions, full recipe and handy printout. I greatly appreciate it and hope your holiday open house is a smashing success for everyone. Warmest wishes to you and yours for a meaningful holiday season that is both merry and bright!